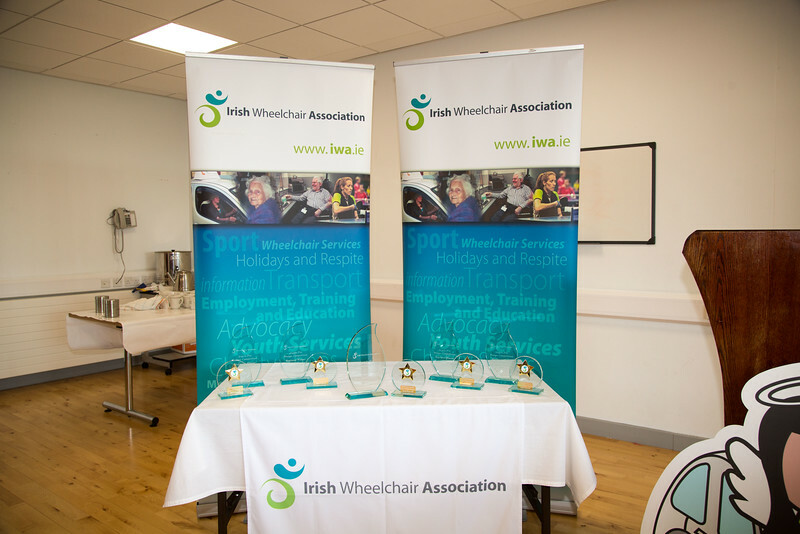 Pictured: In January, IWA launched a nationwide competition to source 5 new Angels Pin Designs for our national fundraising campaign which takes place each November. 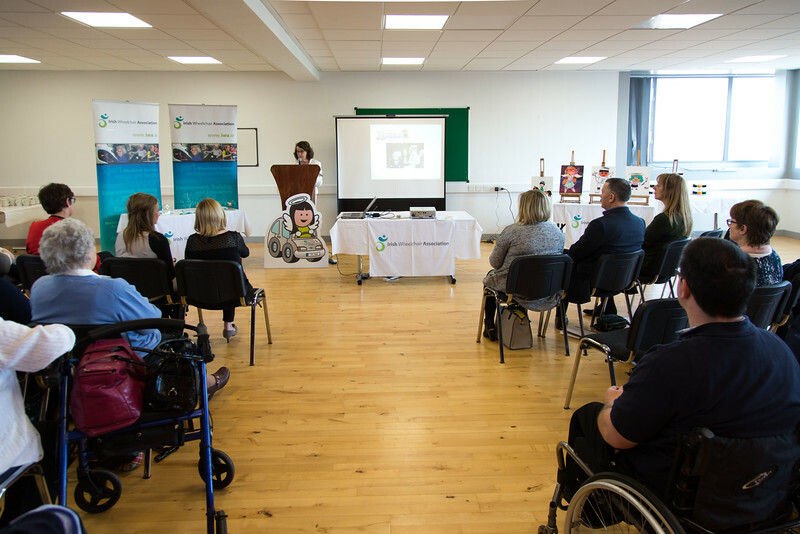 The competition ran during February and over 100 designs were submitted from Transition Years students throughout Ireland. A panel of judges selected 5 winning designs which will be manufactured and produced as IWA’s official Angels Pins for our 2016 campaign. 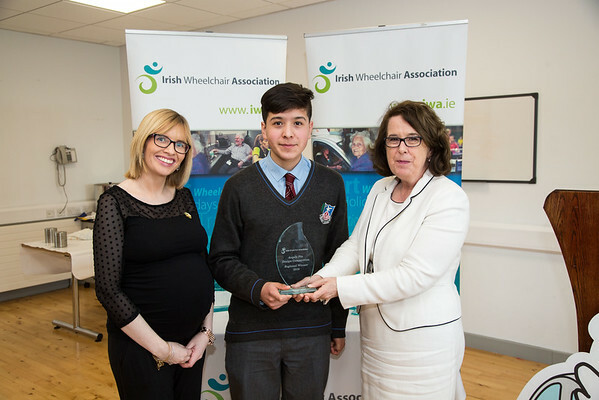 Pictured: Dublin Regional Winner Kathleen McLoughlin (right), CEO of Irish Wheelchair Association (IWA) and Charlene Hurley (left), IWA National Fundraising Manager present Rodrigo Soberon Pena from St. Aidan’s CBS, Whitehall, Dublin 9 with his award for designing one of the new Angels Pins for 2016. 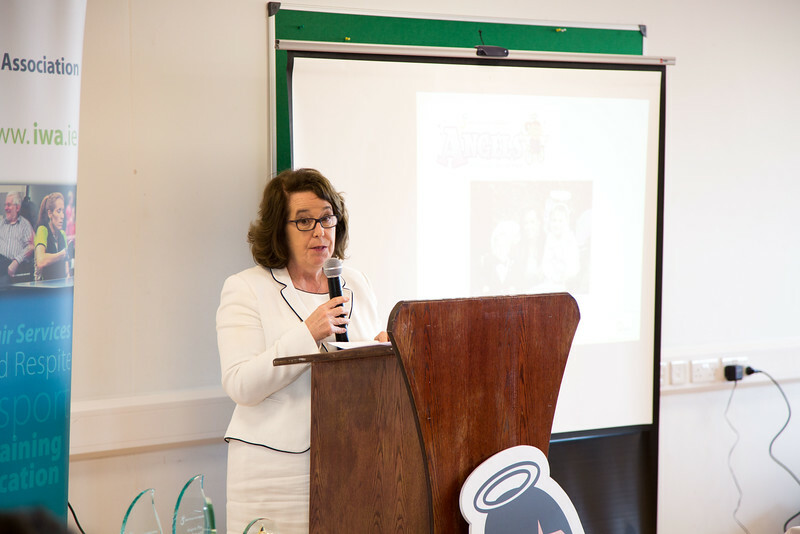 In January, IWA launched a nationwide competition to source 5 new Angels Pin Designs for our national fundraising campaign which takes place each November. 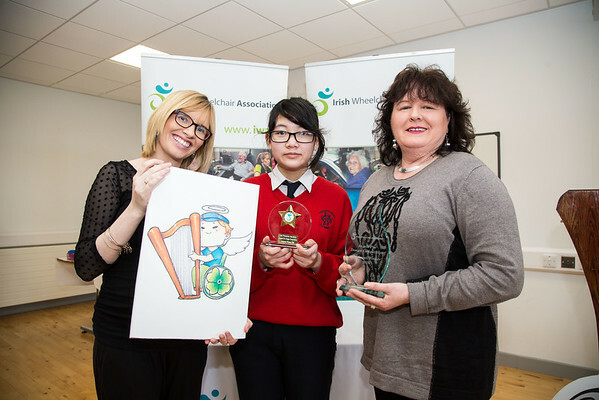 The competition ran during February and over 100 designs were submitted from Transition Years students throughout Ireland. A panel of judges selected 5 winning designs which will be manufactured and produced as IWA’s official Angels Pins for our 2016 campaign. 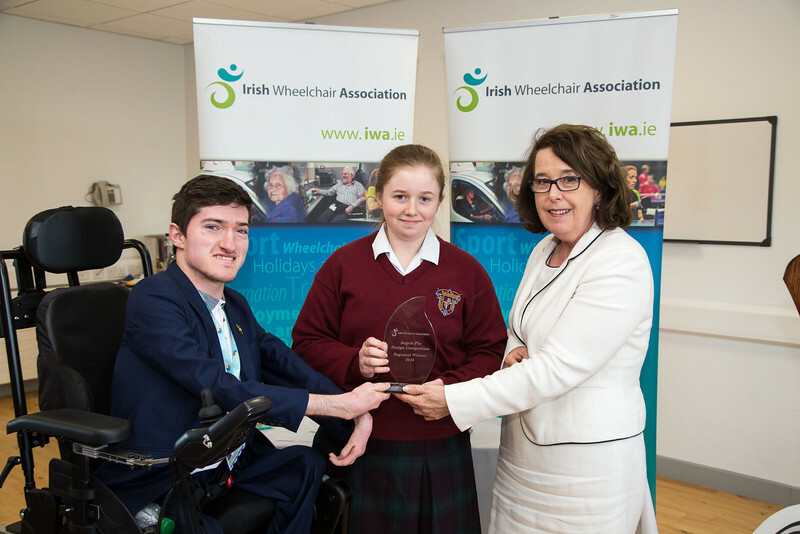 Pictured: Eastern Regional Winner Kathleen McLoughlin (right), CEO of Irish Wheelchair Association (IWA) and James Cawley (left), IWA member who is currently completing a Professional Master of Education (PME) at Maynooth University present Sophie O’Grady, St. Mary’s College, Naas, Co. Kildare with her award for designing a new Angels Pin for 2016 In January, IWA launched a nationwide competition to source 5 new Angels Pin Designs for our national fundraising campaign which takes place each November. 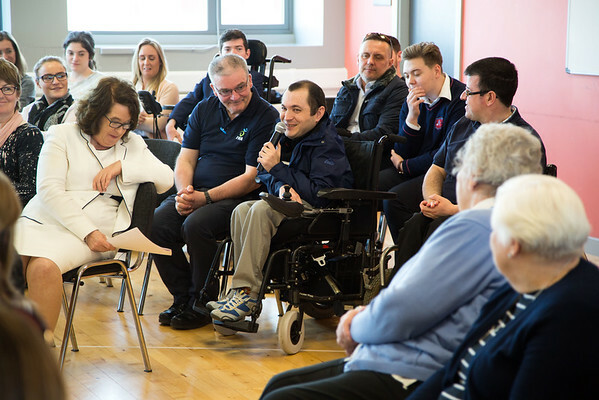 The competition ran during February and over 100 designs were submitted from Transition Years students throughout Ireland. A panel of judges selected 5 winning designs which will be manufactured and produced as IWA’s official Angels Pins for our 2016 campaign. 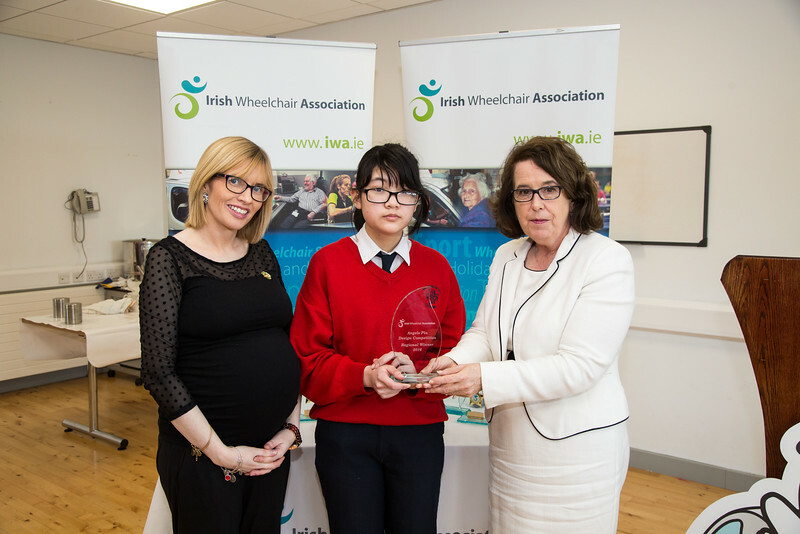 Pictured: Southern Regional Winner Kathleen McLoughlin (right), CEO of Irish Wheelchair Association (IWA) and Charlene Hurley (left), IWA National Fundraising Manager present Ne Ne Lonergan, Presentation Secondary School, Clonmel, Co. Tipperary with her award for designing one of the new Angels Pins for 2016. In January, IWA launched a nationwide competition to source 5 new Angels Pin Designs for our national fundraising campaign which takes place each November. 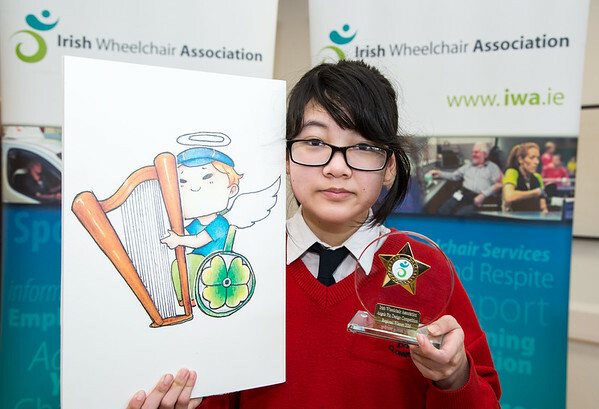 The competition ran during February and over 100 designs were submitted from Transition Years students throughout Ireland. A panel of judges selected 5 winning designs which will be manufactured and produced as IWA’s official Angels Pins for our 2016 campaign. 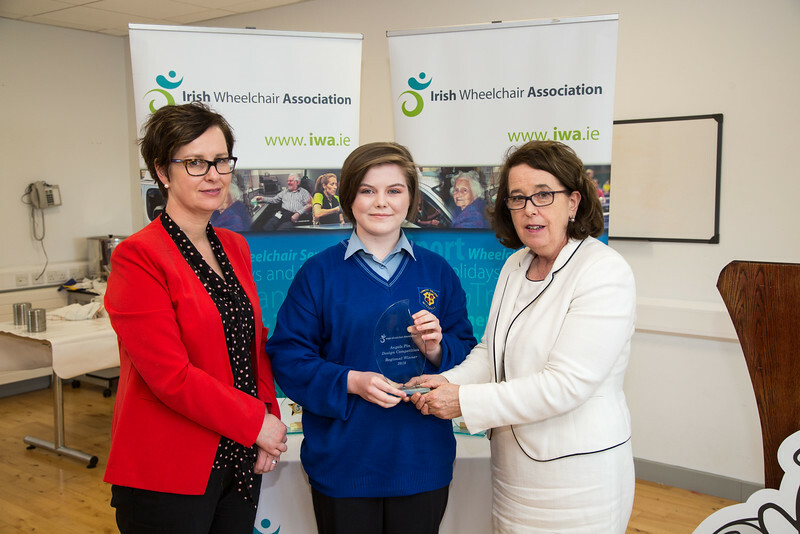 Pictured: Western Regional Winner Kathleen McLoughlin (right), CEO of Irish Wheelchair Association (IWA) and Maeve Dwyer (left), DPD Ireland present Róisín Flanagan, Loreto College, Mullingar, Co. Westmeath with her award for designing one of the new Angels Pins for 2016. 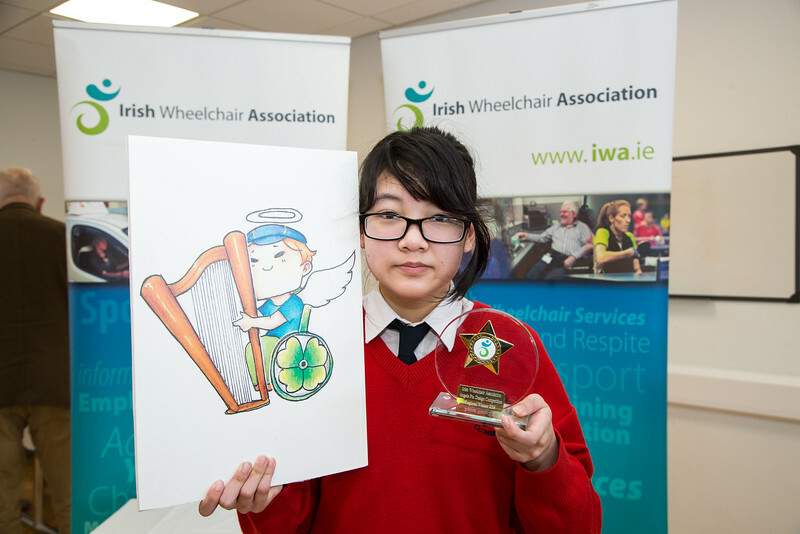 In January, IWA launched a nationwide competition to source 5 new Angels Pin Designs for our national fundraising campaign which takes place each November. 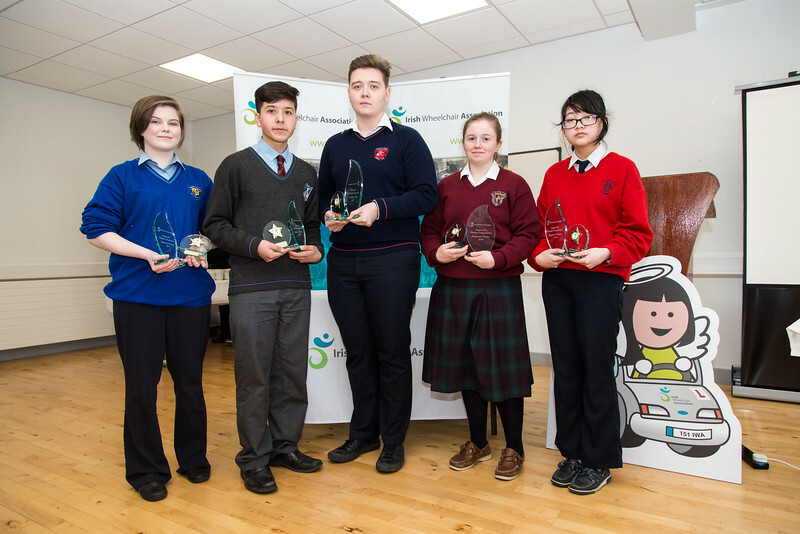 The competition ran during February and over 100 designs were submitted from Transition Years students throughout Ireland. 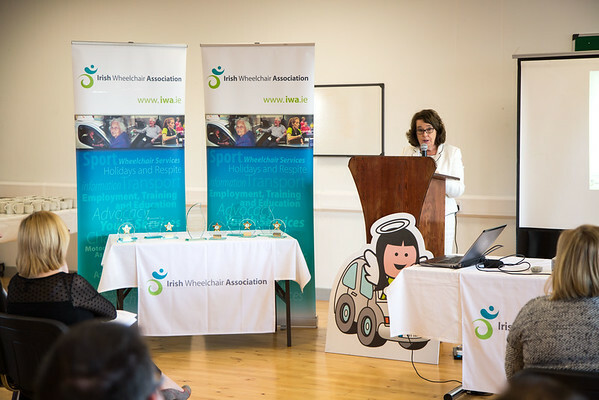 A panel of judges selected 5 winning designs which will be manufactured and produced as IWA’s official Angels Pins for our 2016 campaign. 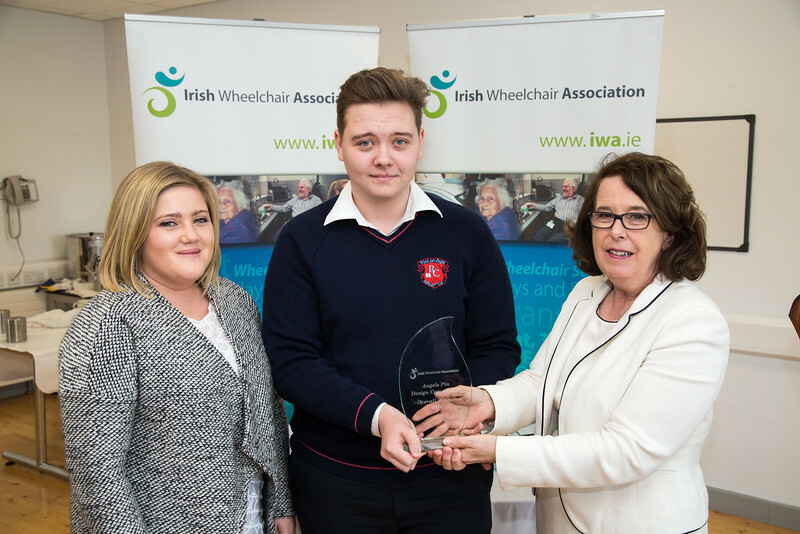 Pictured: Overall Winner Kathleen McLoughlin(right), CEO of Irish Wheelchair Association (IWA) presents Transition Year student, Jacob Leszkiewicz, Ratoath College, Ratoath, Co. Meath with his award for the Angels Pin Design Competition. 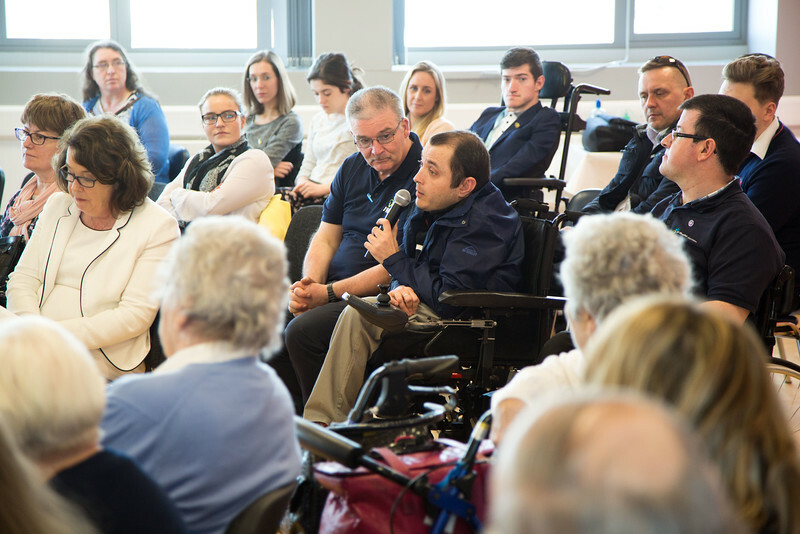 Jacob’s design was selected as the Overall Winner of the competition. 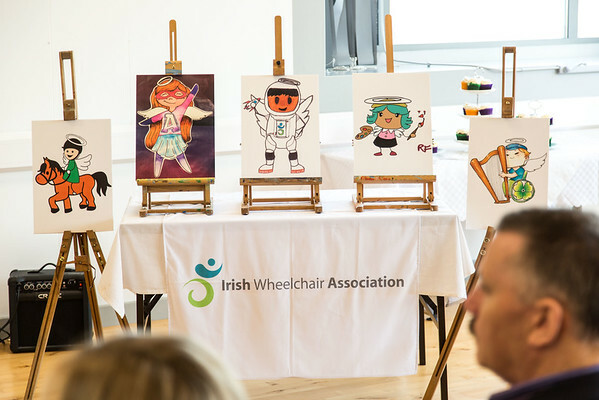 In January, IWA launched a nationwide competition to source 5 new Angels Pin Designs for our national fundraising campaign which takes place each November. 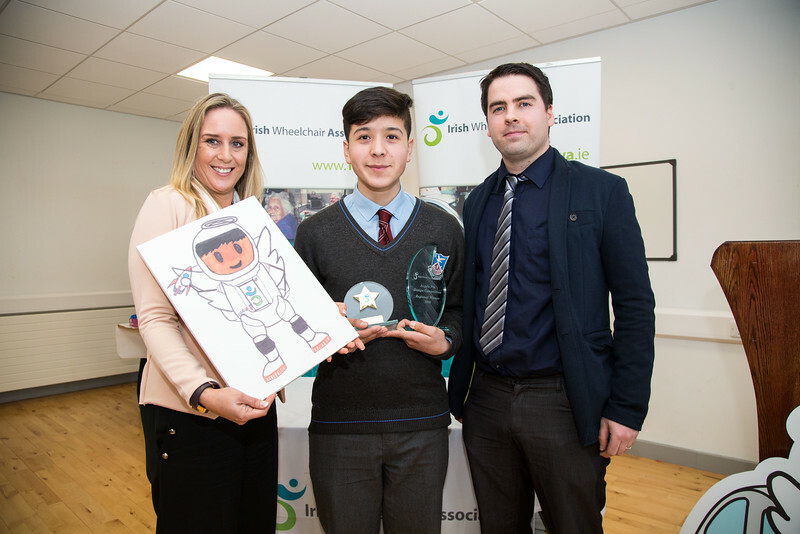 The competition ran during February and over 100 designs were submitted from Transition Years students throughout Ireland. A panel of judges selected 5 winning designs which will be manufactured and produced as IWA’s official Angels Pins for our 2016 campaign. 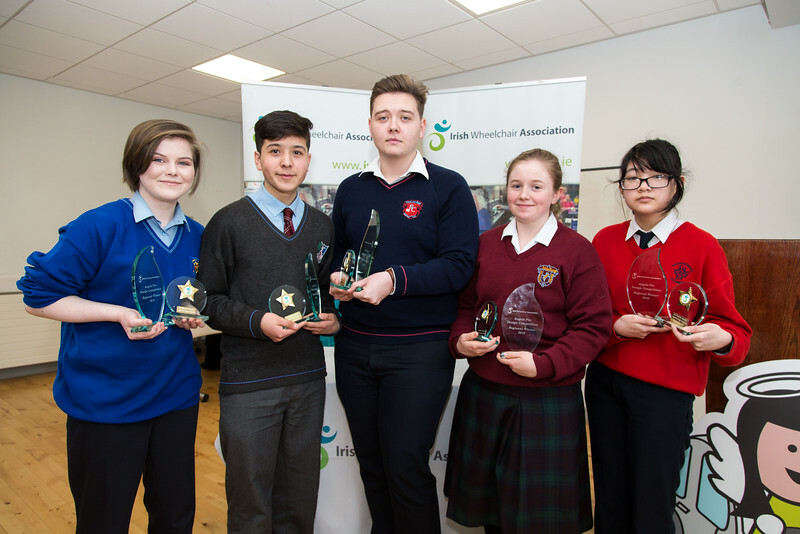 Pictured: Róisín Flanagan, Rodrigo Soberon Pena, Jacob Leszkiewicz, Sophie O’Grady, Ne Ne Lonergan In January, IWA launched a nationwide competition to source 5 new Angels Pin Designs for our national fundraising campaign which takes place each November. 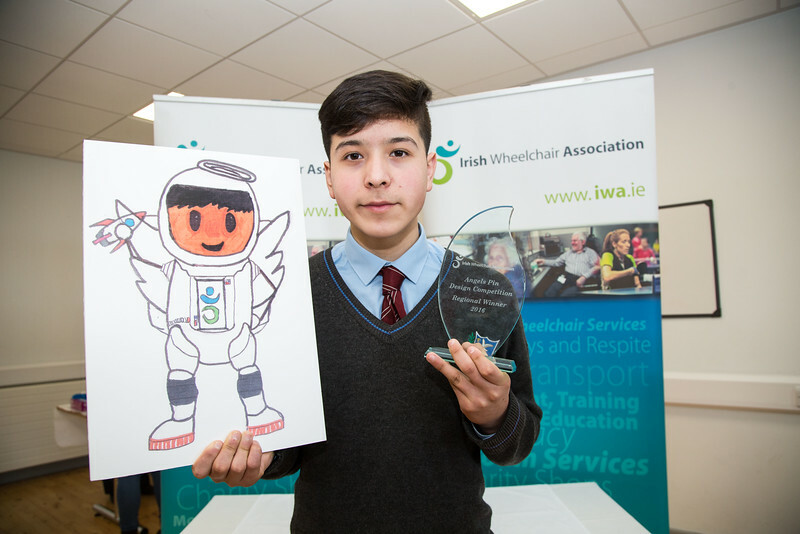 The competition ran during February and over 100 designs were submitted from Transition Years students throughout Ireland. A panel of judges selected 5 winning designs which will be manufactured and produced as IWA’s official Angels Pins for our 2016 campaign.